Well, more like of delusions. 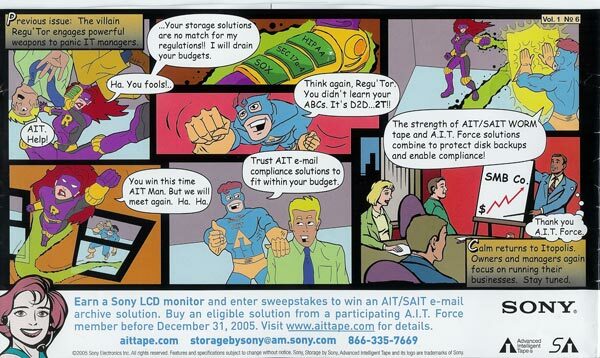 I’ve noticed this comic advertisement, and I’ve just had to put it here online. It’s, I think, the most delusional, drug induced advertisement I’ve seen in a while. This entry was posted on Thursday, February 2nd, 2006 at 9:14 pm and is filed under Uncategorized. You can follow any responses to this entry through the RSS 2.0 feed. You can leave a response, or trackback from your own site.